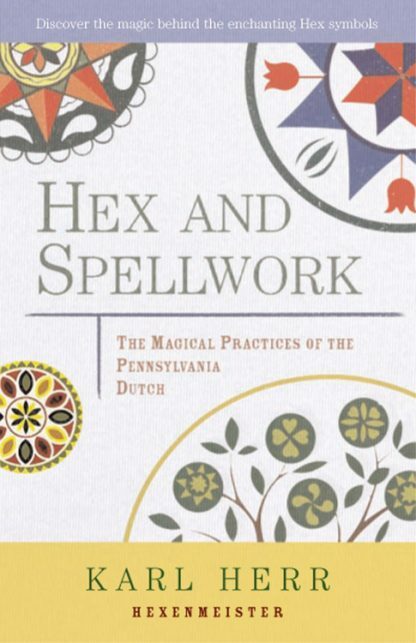 In Pennsylvania Dutch country, among the Old Order Amish and the strict Mennonite congregations who live their lives parallel to modern society, there remains the remnants of one of the oldest European magical practices found in America: Hex, or Hex und Speilwerk, or Pow Wow. In Hex and Spellwork, third-generation Hexenmeister Karl Herr teaches the actual practices and examines the history of the Swiss-German traditions from which Hex and Pow Wow are derived. Hex work echoes the magical arts that reach back to the earliest beginnings of human civilization. Evoked to assist people in health and earthly prosperity and to achieve what they legitimately desire in life, or to counteract the negative spell of a witch, hex is positive magic, never used for evil. Hex work is firmly founded in the Christian religion, with a liberal dose of Swiss-German folk superstition. The Bible is a great influence on all Hex work, which originates in the Gospel of Matthew, where Christ insists that all people of good heart and a pure soul could perform miracles. Karl Herr is bound and determined not to let the oral tradition of hex vanish from the face of the earth. Among the many practices he's written down in this book are: verbal charms for healing, considered by many to be folk prayers; the magic of stones and other natural objects; folk remedies, such as using dried chickweed to stave off colds. Discover himmelbriefs, "heavenly letters" written either to God, or to gain the assistance of someone who is in heaven. Plus instructions for creating hex signs that can be used to reduce anxiety and control spiritual forces. Contains illustrations of traditional hexes, plus diagrams illustrating how to draw one's own.